An investigation is underway after suspected steroids were found in a soldier's room after he became violent, lashed out and was hospitalised. The incident occurred in a Dublin barracks. Military police conducted a search of his room and found an unidentified substance, before alerting gardaí. His firearm was later recovered from his room. The substance was sent for testing but gardaí believe they may be steroids, as well as legal health supplements. Meanwhile, a spokesman for the Defence Forces denied rumours which had circulated on social media that another individual had been threatened with a gun in the incident. "At no stage was any individual threatened with a firearm," the spokesman said. He added the matter was currently under investigation. "Following a search on Friday night, a quantity of an as yet unidentified substance was discovered, which was handed over to gardaí for examination. "A member of the Defence Forces was transferred to hospital for medical examination where he remains under medical care," he said. 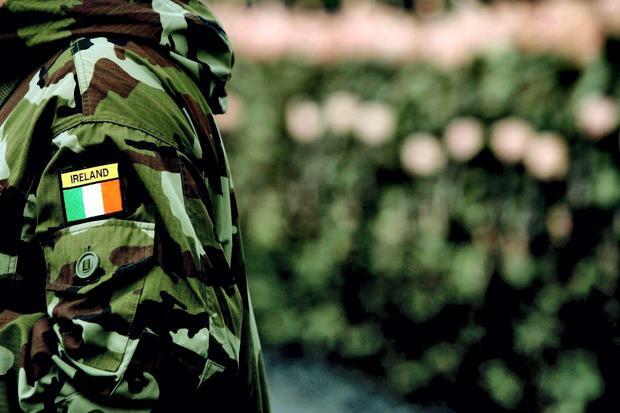 A source told the Irish Independent a small amount of damage was caused to property when the soldier initially became violent. ​"On August 31, military police contacted gardaí stating they had found a quantity of suspected controlled substances in a military barracks," a Garda spokesperson said. "The substances will be forwarded for forensic examination in due course."